Tommy Webb recorded a triple and three RBIs as the Central Bucks East baseball team topped Conwell-Egan, 12-2, on Monday. Colin Weber went 2-for-4 with a double and two RBIs and Nick Bitsko had a double and one RBI. Carter Heller pitched a complete game and recorded 12 strikeouts to lead Faith Christian past Orion High School, 6-0. Parker Curry and Peyton Curry had one RBI apiece. Josiah Smith and Matt Reichley each added one single. 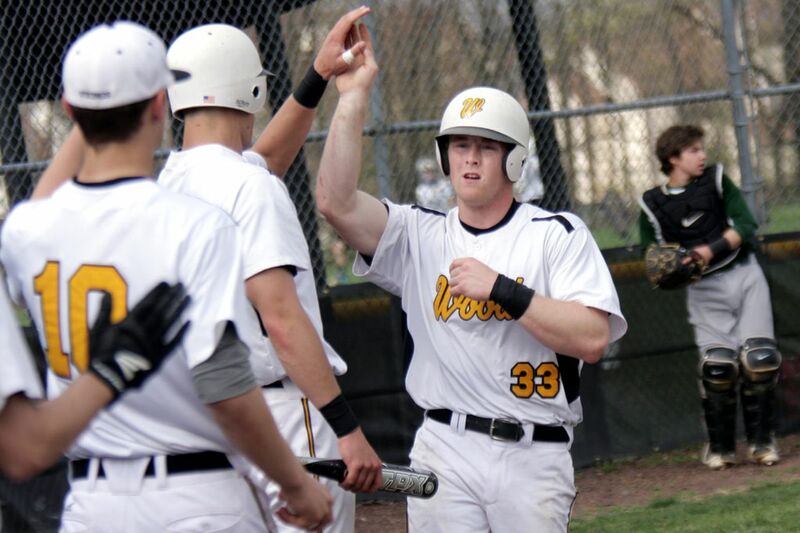 Archbishop Wood notched 10 hits to beat Cheltenham, 8-3. Sam Reynolds went 3-for-4 with a double and two RBIs. Matt Murphy had two RBIs off a single. Jack Colyar picked up in the win. He had five strikeouts and allowed one hit. George Castro and Dariel Rivera each smacked doubles to help Frankford down Esperanza, 11-1. Richard Lugo notched a triple. The Pioneers had 11 hits and Esperanza recorded three errors. Vinny Rdesinki earned the save and had three RBIs as Franklin Towne Charter defeated Central, 7-5. He also hit a triple. Paul Carlson had a double and DeVonte Thomas stole two bases. Pennridge topped Upper Perkiomen, 2-0. Jon Nase picked up the win with two strikeouts in two innings pitched. Nick Christ had one strikeout and recorded the save. Northeast edged Rush, 5-4, as Hannah McIllmurray struck out 17 batters. She only allowed three walks. Morgan Lindsay hit a home run and a double to help Upper Perkiomen down Quakertown, 7-5. Taylor Croak pitched a complete game and had five strikeouts. Jenna Sullivan tallied one double. Sam Walsh pitched a complete game in Owen J. Roberts’ 7-2 victory over Central Bucks South. She recorded one strikeout and one walk. Lizzie Paterno notched seven goals and an assist as Academy of New Church defeated Conwell-Egan, 16-5. Cassidy Peterman, Becca Clark and Nicole McCurdy added two goals apiece.